Baldwin Station is a 55+ community in Milford, Connecticut. Active adult homebuyers will enjoy a low-maintenance lifestyle in this age-restricted neighborhood because an established homeowners' association (HOA) takes care of tedious exterior home chores. With just 82 single-family residences, homeowners can mingle with neighbors and build lifelong friendships. A charming clubhouse also provides a great social space that brings everyone together in a close-knit community setting. Situated near the Housatonic River, active adults enjoy beautiful water views as well as green spaces that are perfect for enjoying the four-season climate. Homeowners are also close to major roads, shopping, dining, and entertainment options within the New Haven area. The clubhouse is the focal point of the community where residents stay fit and socially engaged. The clubhouse features indoor amenities like a multi-purpose room where neighbors gather for community events, holiday functions, and other parties. Homeowners can also utilize the exercise room to stay healthy and in shape throughout the year. Just outside of the clubhouse is a swimming pool that's perfect for a refreshing dip during warmer months. A patio is also available for residents to relax and get some sunshine. The neighborhood is surrounded by beautiful walking and biking trails as well as a scenic river and natural open space for picturesque views. Baldwin Station was developed between 2001 and 2003 and has 82 single-family homes. These residences range in size from approximately 2,100 to 2,800 square feet. They typically have two or three bedrooms, two to three bathrooms, and an attached one or two-car garage. Homes feature colonial-style designs, open layouts, nine-foot ceilings, hardwood floors, crown molding, first-floor master suites, walk-in closets, plenty of storage space, and private backyards. Some homes also enjoy views of the Housatonic River. Residents living in this 55+ community enjoy a vibrant and laid-back atmosphere. An affordable HOA fee includes snow and trash removal, clubhouse maintenance, and lawn care. Homeowners have more time to pursue hobbies and activities at their leisure and worry less about mowing the lawn. Neighbors can get together to start a new club or hobby with like-minded adults. They can attend events or holiday parties at the clubhouse and mingle with friends. Active adults can be as social and busy as they want to be in Baldwin Station. Located in New Haven County, CT, Baldwin Station is close to major roads like Milford Parkway and Interstate 95 for driving across town quickly. Downtown Milford is less than ten minutes away and has a variety of grocery stores, restaurants, banks, and shopping options like Milford Plaza and ShopRite. Healthcare facilities are close by as well like Milford Hospital. Plenty of outdoor recreation is available throughout Milford such as Baldwin Marsh Wildlife Area and Silver Sands State Park. Caswell Cove Marina is five minutes away and provides access to the Housatonic River for water and boating activities. For cultural attractions and entertainment, residents can drive 20 minutes to visit New Haven. New Haven is home to Yale University, Schubert Theater, art galleries, and museums. Yale-New Haven hospital is also nearby for additional medical needs. When traveling farther is required, Bradley International Airport is just over an hour's drive away. 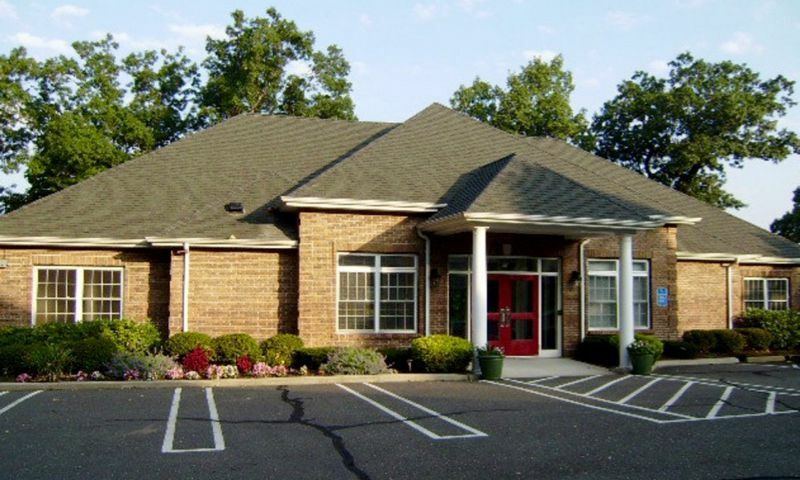 This charming 55+ community enjoys a prime location close to great attractions and daily conveniences in Central Connecticut. There are plenty of activities available in Baldwin Station. Here is a sample of some of the clubs, activities and classes offered here. Baldwin Station was developed between 2001 and 2003 and has 82 single-family homes. These residences range in size from approximately 2,100 to 2,800 square feet. They have two or three bedrooms, two to three bathrooms, and an attached one or two-car garage. Homes feature colonial-style designs, open layouts, nine-foot ceilings, hardwood floors, crown molding, first-floor master suites, walk-in closets, plenty of storage space, and private backyards. Please Note: Floor plans are not available at this time. 55places.com is not affiliated with the developer(s) or homeowners association of Baldwin Station. The information you submit is distributed to a 55places.com Partner Agent, who is a licensed real estate agent. The information regarding Baldwin Station has not been verified or approved by the developer or homeowners association. Please verify all information prior to purchasing. 55places.com is not responsible for any errors regarding the information displayed on this website.